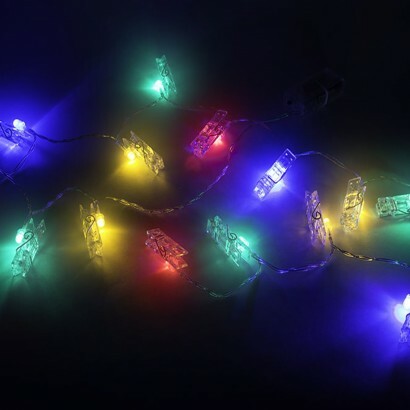 A unique and fun way to decorate your home whether its for parties or just for fun, these peg stringlights not only express a message but light up too! 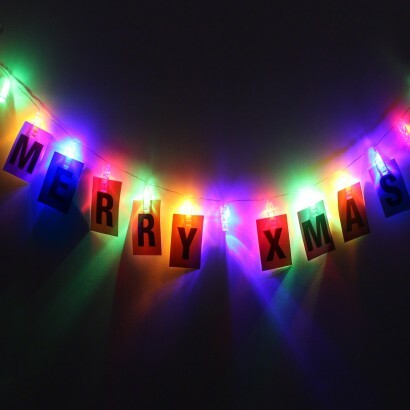 Lit by multi coloured LEDs, there are fifteen pegs on the clear light string and each pack comes with two alphabets worth of letter cards so that you can spell out a message; better still, why not personalise with photographs and memories, each illuminated with colourful light?! 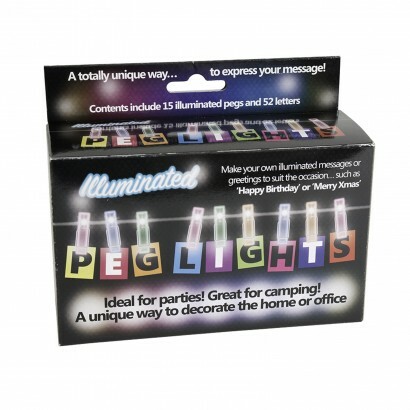 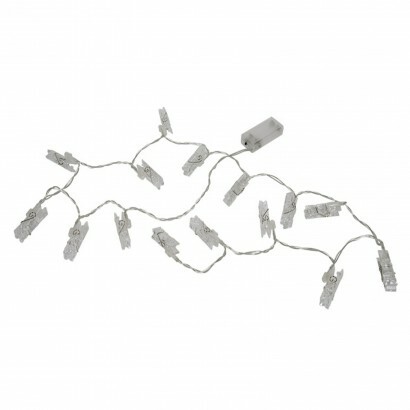 Battery operated, these peg lights can be placed anywhere for a fun filled atmosphere.